Mercator Gold plc is pleased to announce that it has entered into a partnership with Remote Energy Solutions, LLC (“RES”), an established renewable energy developer, in relation to the Warm Springs solar power project (“the Warm Springs project”) in New Mexico, USA. The Warm Springs project is being developed in close proximity to the Copper Flat copper-gold-molybdenum-silver project (“Copper Flat”) by Mercator’s subsidiary Warm Springs Renewable Energy Corporation (“WSREC”). The initial objective of the Warm Springs project is the construction of a 20MW solar power plant, with permitting targeted for completion by the end of 2010 and construction targeted to commence during 2011 subject to ongoing feasibility work. Feasibility and permitting is expected to cost up to US$750,000. The estimated construction cost of a 20MW facility is in the range of US$60-80 million. It is anticipated that this capital requirement will be met by means of project-level debt and equity financing. Numerous innovative potential financing mechanisms taking advantage of available development incentives and tax schemes have been identified and are being evaluated in order to select the most advantageous solution. Discussions have been initiated with a number of solar power plant constructors and technology providers. Both traditional flat plate photovoltaic and newer concentrating solar technologies are being evaluated. WSREC believes that there may be potential for the expansion of the initial 20MW facility to 80MW capacity. In addition to the sale of electricity, WSREC is exploring the potential for the sale of Renewable Energy Certificates (“RECs”), demand for which is expected to grow considerably in the US as under Renewable Portfolio Standard (“RPS”) regulations, utilities are increasingly required to generate a substantial proportion of the electricity they sell from renewable sources. The purchase of RECs allows utilities to satisfy their RPS obligations. The Warm Springs project will be operated and financed independently of Copper Flat, and Mercator’s interest in WSREC and the Warm Springs project is unaffected by the sale of the Company’s exclusive option to acquire a 100% interest in Copper Flat to THEMAC Resources Group Ltd.
From a climatic, regulatory and power transmission standpoint, New Mexico is an excellent location for solar energy development. The state has been designated to become a hub for the US power grid, which is being modified to achieve a greater degree of interconnection between different regions of the country. Furthermore, New Mexico is seeking to become a centre for renewable energy and related industries, with the implication that the New Mexico authorities are expected to be supportive of the activities of WSREC. Grants, tax breaks and other incentives for renewable energy projects are available. The Warm Springs project will be located, along with the Copper Flat project, in a rural area of New Mexico, and can be expected to boost local economic growth and aid economic diversification. This aligns with regional and national efforts to foster the development of renewable energy sources, and may provide additional opportunities for the Warm Springs project to qualify for federal development incentives. RES has particular expertise in providing renewable energy solutions to the mining sector, and will lead the development of the Warm Springs project. On this basis, Ann Carpenter, President of RES, has been appointed Chief Operating Officer of WSREC. RES will coordinate the state and federal permitting of the Warm Springs project, along with interconnection and transmission studies, stakeholder engagement, technology selection and financing. RES is to be issued an initial 10% of WSREC’s outstanding shares, and at such time as WSREC enters into a power purchase agreement or comparable instrument and makes arrangements to finance the construction of the Warm Springs project, RES may acquire an additional 15% of WSREC’s outstanding shares by contributing 15% of WSREC’s debt and equity capital requirements. At such time as WSREC enters into definitive agreements for construction financing, RES may acquire a further 5% of WSREC’s outstanding shares by contributing a further 5% of WSREC’s debt and equity capital requirements and reimbursing WSREC for 5% of its costs and expenses accrued to that date. The development of the Warm Springs project is intended to be complementary to the recommencement of production at Copper Flat. Although the reconnection of Copper Flat to the power grid would be straightforward, Copper Flat is likely to benefit from association with the Warm Springs project as a result of efficiencies that are expected to be realised in the permitting process and as a result of public awareness of Copper Flat being increased in a positive manner. Potential sustainability initiatives for Copper Flat in the areas of energy efficiency and water conservation are also being researched. ACS Asia, the steel products business in which Mercator holds a 70% interest, is capable of providing the steelwork typically required for the construction of solar power facilities, and has already quoted on a number of contracts of this type in the US and Australia. Some 20-40% of the capital cost of a solar development is usually accounted for by steelwork. ACS Asia is in a strong position to fulfil the steelwork requirements of the Warm Springs project, and continued exposure to the solar sector through WSREC is expected to assist ACS Asia in further developing its business in this field. “Copper Flat will have a genuine claim to be considered one of the most environmentally sustainable mines in the world on the basis of its association with the Warm Springs project. Copper Flat is a former producing mine with substantial infrastructure still in place. Mercator, through its wholly owned subsidiary New Mexico Copper Corporation (“NMCC”), holds an exclusive option to acquire a 100% interest in Copper Flat. 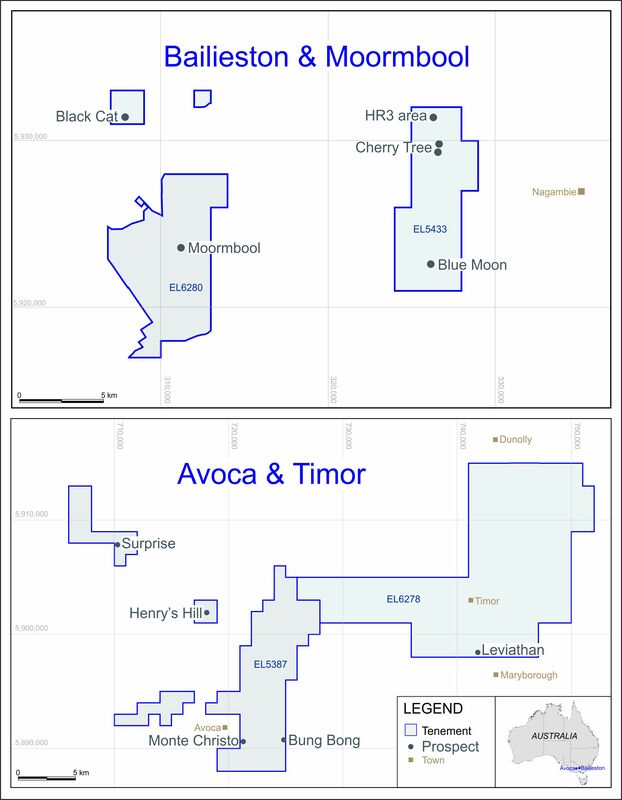 The sale of Mercator’s option over Copper Flat to THEMAC Resources Group Ltd (“THEMAC”), a company listed on the TSX Venture Exchange (ticker: MAC.H), is in the process of being completed. As a result of the transaction Mercator will acquire a substantial interest in THEMAC and will therefore retain a very significant interest in Copper Flat’s future development.